Trees can help bring your garden or landscape to life. From beautiful Ornamental Pear Trees in the spring/ summer months and prominent, colourful foliage during the colder autumn/ winter months, your garden will become a talking point. The main features that ornamental plants share are their attractive flowers, distinctive fragrance and their unmissable, unique shape. With a range of shapes and sizes available, we know there will be a perfect decorative tree for your garden if not two. 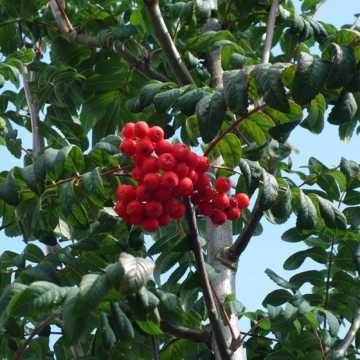 Hedges Direct has a variety of trees available including the beautiful Ornamental Cherry Tree which is perfect for smaller spaces; the idiosyncratic Himalayan Birch Tree which adds a touch of winter to your garden; the Great White Cherry Tree that boasts elegant white flowers; and the Crab Apple Tree, perfect for those with a culinary interest. Their striking colours and fragrant blooms create the perfect focal point for any garden. So, whether you are looking to create a wildlife-friendly space in your outdoor area, or you adore the stunning colours and textures our garden trees can bring to a space, we know there is a perfect ornamental tree for every garden. Browse our range of outdoor ornamental trees today, or get in touch with the Hedges Direct team on 01257 263 873, or send us an email to [email protected] for a quote and advice.